This is a beautiful and very detailed schwiboggen featuring the holy nativity scene. It lights up using 110 volt electricity and 5 candles. 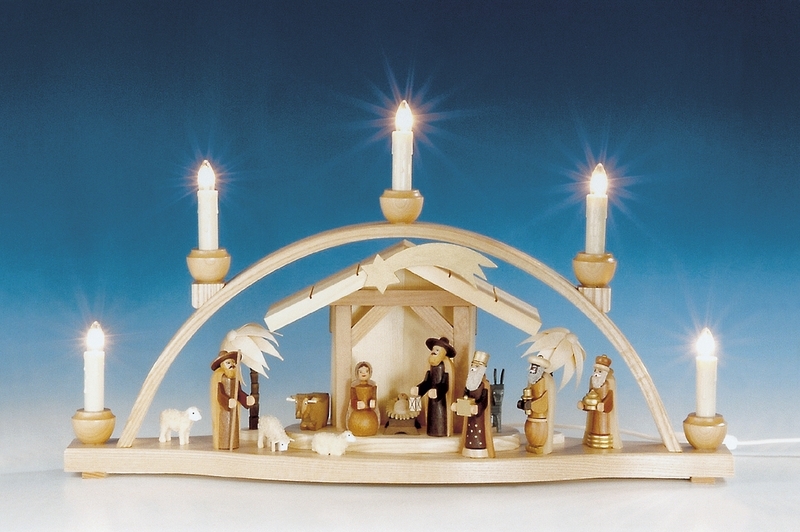 This beautiful creation was handcrafted out of wood by the Knuth Neuber workshops in Seiffen Germany. The holy family is in the stable while the shepherd with 3 sheep, donkey and cow are watching. The 3 wisemen are representing the gifts. Size is approximately 20 inches long and 10 inches high.